Have you heard? 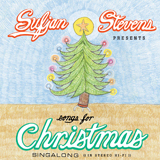 Sufjan Stevens has a new release. Someone asked me why I hadn’t blogged yet about the new Sufjan Stevens release, and my answer is, um, well, I’ve been too busy listening to it. In fact, Sufjan doesn’t just have one new volume of material… no, he has FIVE new volumes of material. And they’re all Christmas albums. They’re new, that is, to those who haven’t been tuning in through his fan club over the last few years. I’ve been listening to the first three volumes for a while now. But at last, they’re packaged up with some new recordings, and they’re a delightful holiday collection. Having said that, do not expect these to sound like the carefully polished, visionary work that made Illinois the favorite album of many critics in 2005. It’s actually quite a casual performance of holiday standards and a few quirky originals. There are a few tracks that make me stop what I’m doing to bask in the light of reverent worship, but most of the time this sounds like musicians from a church youth group getting together to play through their favorites. So, as I said, it’s a delightful collection, one that you’ll enjoy pulling out during the holiday season and playing in the background during family gatherings. But don’t expect it to blow you away like a proper Stevens’ release. It’s just not that kind of performance. It is exactly what the cover claims… a singalong. 7. Hark! The Herald Angels Sing! 8. What Child Is This Anyway? I, too, have had the first three releases for a while and thought to myself, “Do I want to buy this album for the remaining tracks that I don’t own?” I pondered and thought. Then pondered and thought some more. UNTIL… I read this post and your excitement for the two parts that I don’t have and finally made up my mind. This weekend, I will buy it. well..volume 4 and 5 are really proper and is high material. These discs are from 2005 and 2006. You hear the quality. Songs like Did i make you cry…and away in a manger, and sister winter are awesome! For the life of me, I can’t understand why more artists don’t record Bring A Torch, Jeanette, Isabella. I saw Nickel Creek play it last December at a show & it was exquisite. Simply a beautiful song. But try finding a decent recorded version that’s not instrumental. Very difficult. I have been in love with his first three for a while now, Come Thou Fount of Every Blessing was used for my wedding clip show. Five individually packaged CD EPs! • Extensive liner notes and short stories by Sufjan Stevens! • An original Christmas essay by Rick Moody! • An animated music video and comic strip by Tom Eaton! • A Christmas Songbook with lyric sheets and chord charts–so you can sing along too! • An original Christmas Family Portrait painting of Santa Sufjan (with wife and kids!) by Jacques Bredy! Today's Shuffle: What do these songs mean to you?